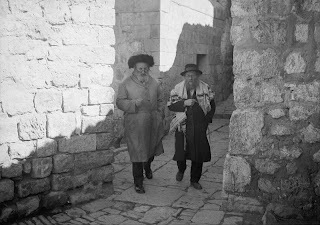 "Orthodox Jews on their usual walk to the Wailing Wall"
Here are two photographs of the forthcoming feature on worshippers on their way to the Western Wall on a Sabbath 80 years ago. In 1948, the Jordanian Legion captured the Old City, imprisoned or expelled all of the Jews, and destroyed the Jewish Quarter. 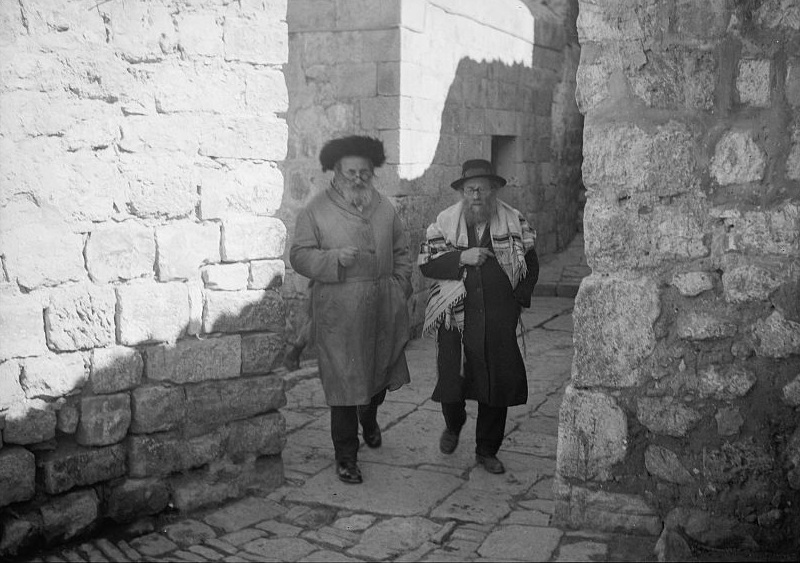 Jews were not permitted to visit the Western Wall until 1967 when the Israel Defense Forces reunited the city. 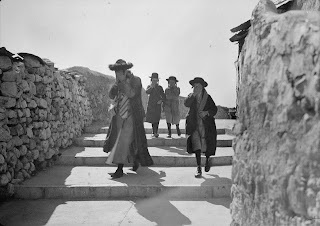 Are you a subscriber yet to the Israel Daily Picture?